*Seven pastors working in the San Francisco Bay area who were barred from serving in the nation’s largest Lutheran group because of a policy that required gay clergy to be celibate are being welcomed into the denomination. The group is among the first gay, bisexual or transgender Lutheran pastors to be reinstated or added to the rolls of the ELCA since the organization voted last year to lift the policy requiring celibacy. Churches now can hire non-celibate gay clergy who are in committed relationships. 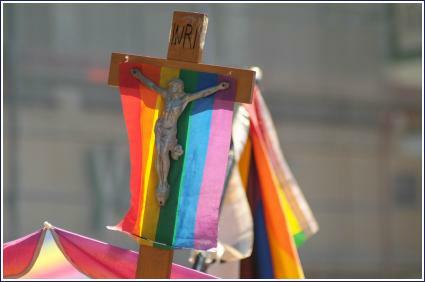 “It’s going to be an extremely glorious and festive ceremony because it’s the culmination of decades of work to welcome LGBT people into the ELCA,” said Amalia Vagts, executive director of the Extraordinary Lutheran Ministries, a nonprofit that credentials openly gay, lesbian, bisexual and transgender people for ministry.